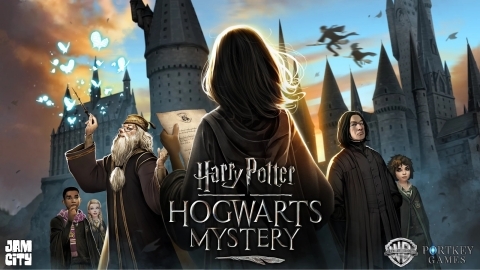 In the hit mobile game Harry Potter: Hogwarts Mystery, fans receive their acceptance letter, create a character and attend Hogwarts School of Witchcraft and Wizardry. Taking part in the rituals and routines of student life, from collecting their textbooks at Flourish and Blotts, to attending classes with venerable professors like McGonagall, Flitwick and Snape, players have taken to life at Hogwarts. Today, players head back to school with the commencement of Year 5 content in the game, beginning the most exciting year at Hogwarts yet, with a host of new mysteries to unravel. In Year 5, players return to Hogwarts for their most rigorous year of studies yet, and important milestones in the curriculum. Players that earned their prefect badge in Year 4 will take on the responsibilities of the role, while enjoying access to a new location in the game, the prefect’s bathroom. But all Year 5 students are faced with an even bigger test than earning the badge: taking their Ordinary Wizarding Levels (O.W.L.) exams. As Year 5 unfolds, players will head into new territory - and mischief - exploring decidedly dodgy areas like Knockturn Alley. Back on school grounds, players will learn from new professors like the lauded, but legendarily long-winded History of Magic Professor, Cuthbert Binns and the identity of the new Defense Against the Dark Arts professor will be revealed. Outside of classes, players will cross paths with more members of the Weasley clan and other familiar characters from the Wizarding World.